How important is sleep to a toddler’s development? By the age of two, most children have spent more time asleep than awake. Sleep is absolutely vital for toddlers. Most of the growing children do is while they are asleep. Sleep directly impacts their mental and physical development. While asleep, children are able to make sense of their day, as well as lock in new skills and memories. Rested children are found to be more alert and happier, they are also able to concentrate better and are found to be more even tempered than a sleep deprived child. Children who are well rested also have strong immune systems compared to their peers who are not getting enough sleep. Toddlers produce a very important hormone while they sleep, called growth hormone. Growth hormone is produced in the pituitary gland and is vital in stimulating various biological events occurring in the muscles, organs, blood and bones. As adults, we produced this hormone too- throughout the day, but for toddlers this vital growth hormone is released just after a little one falls into a deep sleep. Research shows that if a child doesn’t get the right amount and right quality of sleep, growth can be greatly affected, slowed or stunned. This doesn’t only affect a child’s height but can affect a child’s heart and lung strength as well as his immune system. Childhood obesity is greatly linked to a lack of sleep. Both adults and children produce another hormone called ghrelin. This hormone lets us know when we are full and to stop eating, but when we lack sleep, including children, this hormone isn’t as effective and we are more likely to overeat or crave higher calorie carbs. Poor or inadequate sleep can greatly affects a child’s behaviour, leading to behavioural problems and mood swings. Lack of sleep can also affects a child’s motor skills and concentration, making them prone to accidents as well as affecting their ability to learn and perform well at school. Research now tells as that many children who have been diagnosed with ADHD are in fact not ADHD but severely overtired. Having a consistent bedtime routine is vital for a toddler. It allows them to know what’s coming next, that sleep time is near and it helps their little bodies begin to wind down a notch and prepare for sleep. Avoiding screens and over stimulating activities right before bed are advisable and helping to keep your child’s room dark, especially during the summer months, can greatly help at bedtime and early morning. The light stimulates our eyes to tell us it time to wake up, so if the light is creeping into your little one’s room in the early hours of the morning, it may be hard for your little one to stay asleep or go back to sleep once being woken. Make black out blinds your best friend and keep your child’s room dark and conducive to sleep. If your little one is even losing out on 1 hour of sleep a night due to early morning waking or by going to bed too late, by the end of the week that’s 7 hours of sleep that your little one is lacking, which can make a big difference to his growing mind and body. Parents may feel keeping their toddler up later will mean him waking later in the morning, but this is often not the case. Often, the later a child goes to bed the earlier a child wakes, it seems counter intuitive but once a child becomes that little bit overtired from going to bed too late, or from not napping well during the day, it is carried forward and can affect the morning – leading to early morning waking. It is imperative toddlers get the right amount of sleep. Sleep is vital for growth and development both mentally and physically, as well as for health and happiness. Without sleep, a child cannot function properly. Tracy Newberry, a baby sleep coach and sleep consultant, is the founder of Happy Baby and Me. She teaches sleep in a gentle reassuring way; never using any of the ‘cry it out methods’. Tracy was passionate about working with children from an early age and began working as a nanny in London when she was 18. A year and a half later, she returned to her home country of South Africa, where she nannied and worked as a nursery school teacher. Arriving back in London in 2009, Tracy continues to work with families, growing her experience and childcare knowledge. 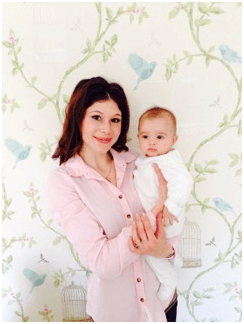 As her passion for teaching sleep grew, she set up her own business Happy Baby and Me. Tracy now helps many babies and young children learn the wonderful skill of falling asleep in a gentle, caring way.